The picture reflects my attitude on Art, Truth & Beauty. The artwork 'End drilling' portrays my thoughts about current affairs. 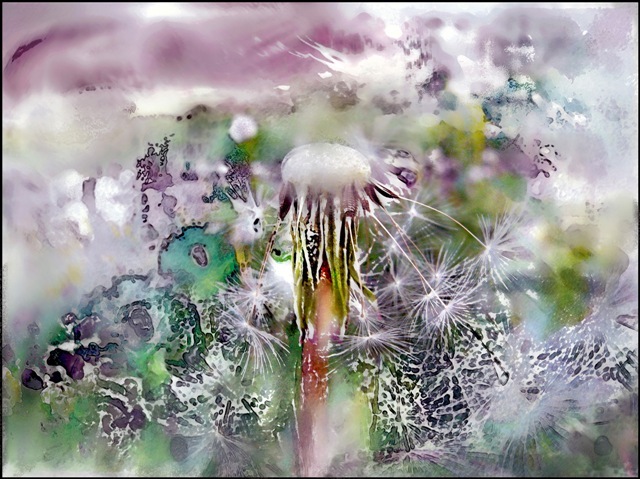 White-hot dandelion clock talks about the scattered seeds, and that's so symbolical. I inquired myself was that all? such living being is hard to visualize, yet what looks the impossible, characterize me the best.